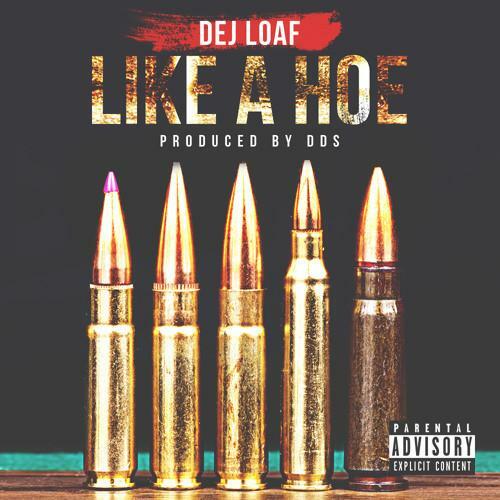 Dej Loaf returns with "Like A Hoe". Dej Loaf has had a big couple of weeks, first showing up on the XXL Freshmen list and later performing at HOT 97 Summer Jam. She's currently working on her first retail release, which will come in the form of an EP later in the month. The first record from the forthcoming offering finds the Detroit rapper teaming once again with DDS, the beatmaker behind her breakout hit, "Try Me," and quite a few more of her strongest records. While she's been killing the hooks lately, crafting hits for The Game and Kid Ink, "Like A Hoe" finds Dej in full-out rap mode (though the chorus is decidedly catchy). Look out for her as-of-yet untitled project in the next few weeks.